Dark Horse has worked with Nintendo with a series of three books on The Legend of Zelda Franchise. 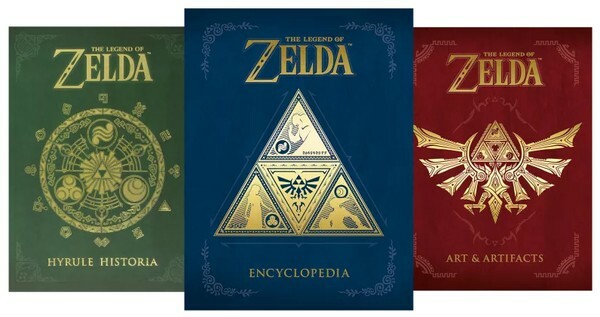 The three books, Hyrule Historia, Art and Artifacts, as well as, The Legend of Zelda Encyclopedia, were all well received by fans around the world. Speaking to Nintendo Life, Dark Horse Editor, Patrick Thorpe, said that Hyrule Historia has sold over 900,000 copies at this point. It is unsure if the digital copies that were included in the Wind Waker HD Wii U bundles were added into the numbers. Thorpe also talked about how Dark Horse got together with Nintendo to make the series, how it took many contact pulling, as well as, his huge Nintendo fandom to bring it all together. Nintendo Life: Nintendo and Dark Horse’s collaboration is a relatively new partnership. It seems to have been an extremely successful one. Can you give us the insider story of how it all got started? Patrick Thorpe: A lot of it had to do with timing. I’ve been a huge Nintendo fan for my entire life and noticed that they were not doing much in the way of published materials. We had just recently had some success with video game related comics with Mass Effect, and, more importantly, art books. Samantha Robertson, a former Dark Horse editor who now works in Nintendo’s Treehouse division, had created an art book for the Art of Avatar: The Last Airbender. It was this big, beautiful 9 x 12 coffee table book of really high quality that would become the template for our whole art book line. We then did The Art of Alice: Madness Returns and had a book called The Art of the Mass Effect Universe book in the works. It was really obvious that we were on to something really fun and interesting. People really responded to these books. Calling them art books might be a bit of a misnomer because they all include behind the scenes information and development materials. They feature a lot of beautiful artwork, but they’re also ‘making of’ books. A month or so later, she contacted me again saying that she had talked to NCL and that they were in talks with another company, which I later learned was Shogakukan, who was developing a book very similar to that in Japan. They obviously weren’t going to do two books, but asked if we were interested in doing a localisation of that book. After bringing in Dark Horse’s licensing guru Nick McWhorter, we worked out the details and were off and running. Hyrule Historia hit my desk shortly after that. Thorpe also teased a little about future partnership with Nintendo without going too much into the details. Nintendo Life: Finally, so far Dark Horse has published Zelda, Fire Emblem, Splatoon, and an upcoming Mario hardcover book. What can we expect in the future, and it’s a special edition Metroid book, isn’t it? Patrick Thorpe: Ha! I believe that I’m on the record somewhere stating that developing Metroid books would be the ultimate dream project for me, so I appreciate your enthusiasm on that front. As far as what is currently being developed? You can certainly expect more from the Dark Horse/Nintendo partnership. As for what? I guess we’ll just have to wait and see. You can read the full interview here from Nintendo Life.